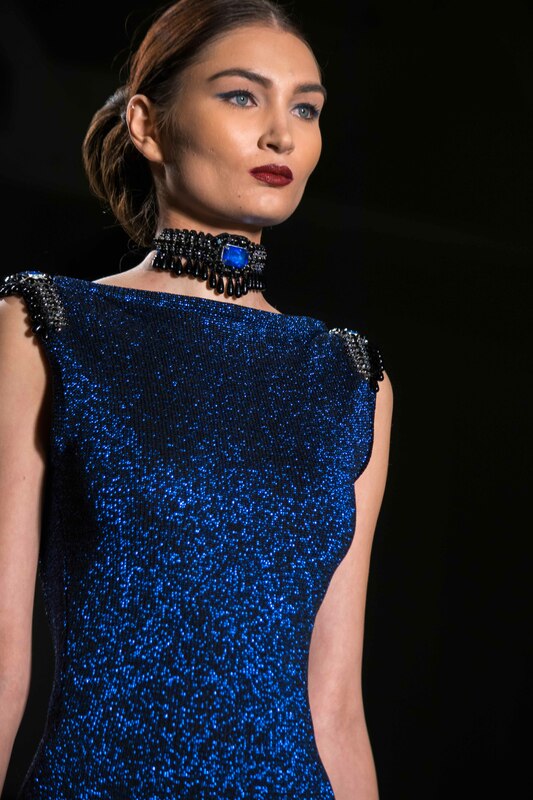 Zang Toi’s Fall/Winter 2017 collection was a dazzling showcase of dark, long and stunning pieces. 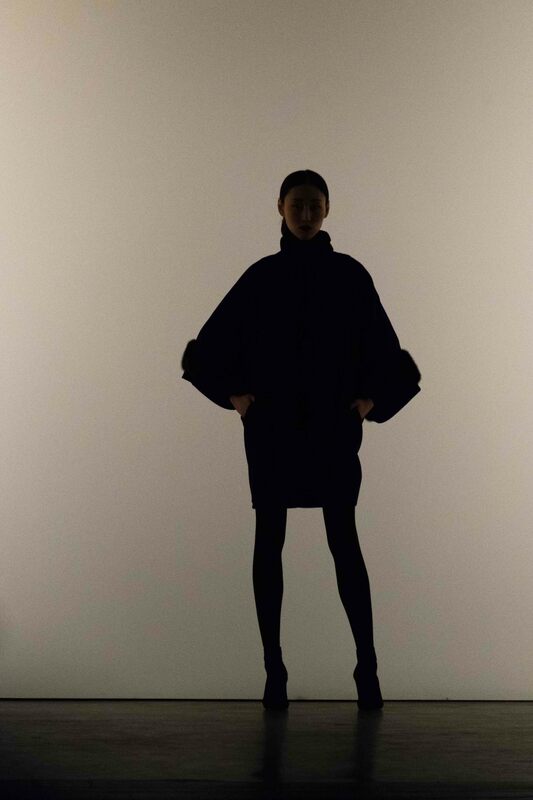 The collection was divided into two sections — the first, an assortment of pants, suits, sweaters and jackets, and the second, an array of formal dresses and skirts. 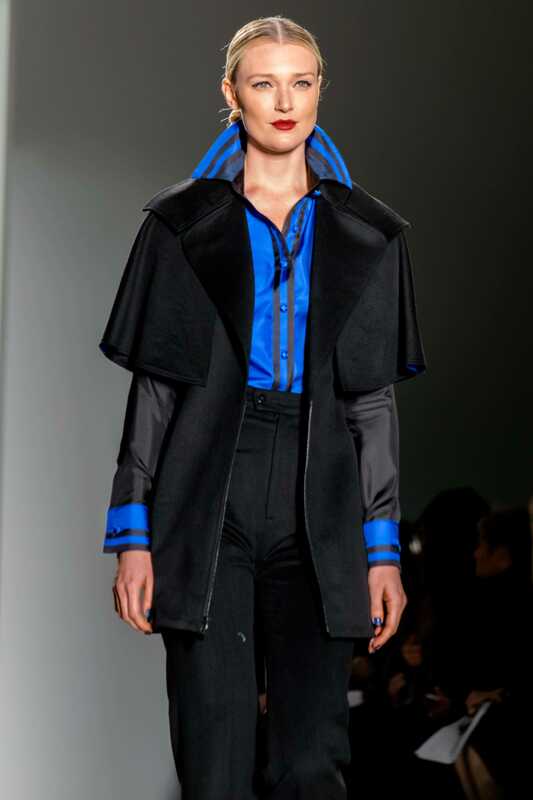 In the first part of the collection, most pieces were a different take on a blue and black design, with the exception of a few white ensembles. The music fit this first half well — it was an intense, yet calm buildup with each model featuring a signature dark red lip and hair pulled back in a tight bun. A plethora of satin and silk was also showcased, adding to the essence of sophistication. 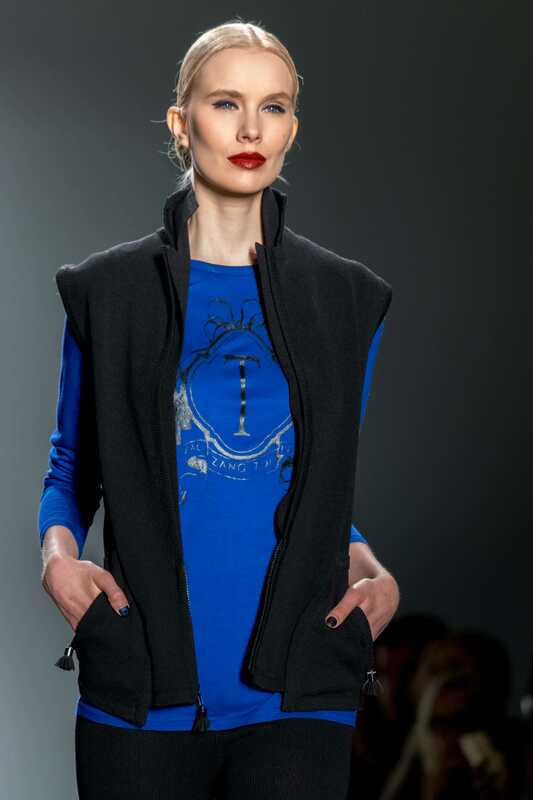 Toi paired each of his pieces in this first half with either blue fabric or pearl tasseled necklaces. The second half of the collection was signified by a change in music — opera singing filled the air. The next model to walk out wore a short-but-modest, vibrant purple dress with a long purple train following her. Taken to a fancier, more upscale level, this second part of the show consisted of extravagant blue and purple dresses and skirts. Miss J. Alexander of “America’s Next Top Model” was sitting front row and nodding his head in approval at all the beautifully made designs strutting past him. 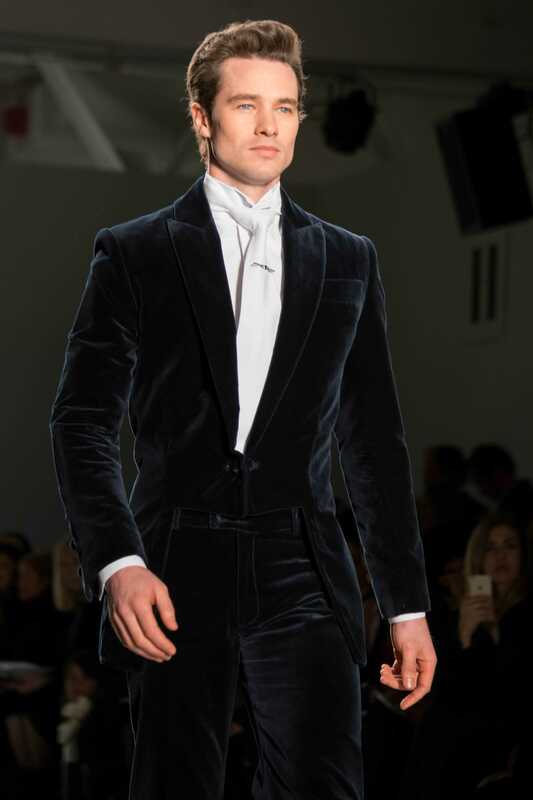 One male model was amidst the numerous female models, dressed in an all velvet suit, looking like a modern day Prince Charming. Toi’s choice of bold and stunning jewelry — thick jeweled chokers, blue diamond earrings and tasseled necklaces — suited the image of his creations. 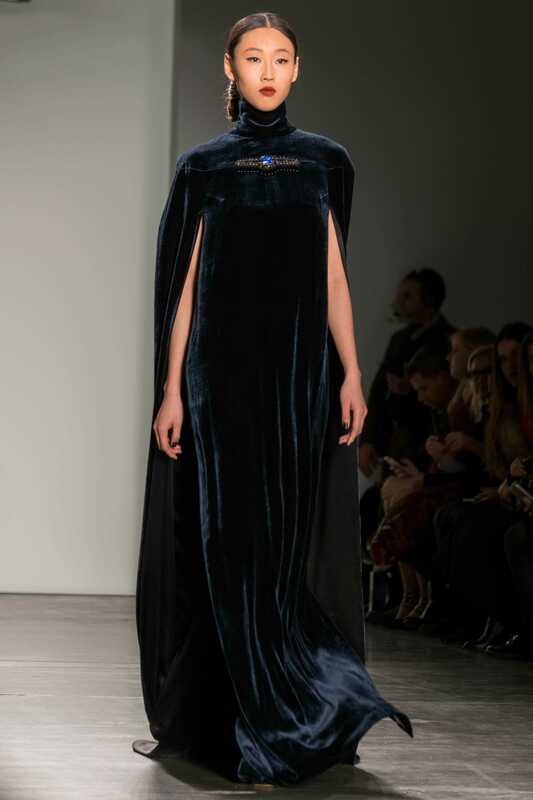 Bringing together the music, hair, makeup and mix of dark silk, satin and velvet pieces, Toi outdid himself. He managed to take a look fit for royalty and transform it into a truly ready-to-wear style.